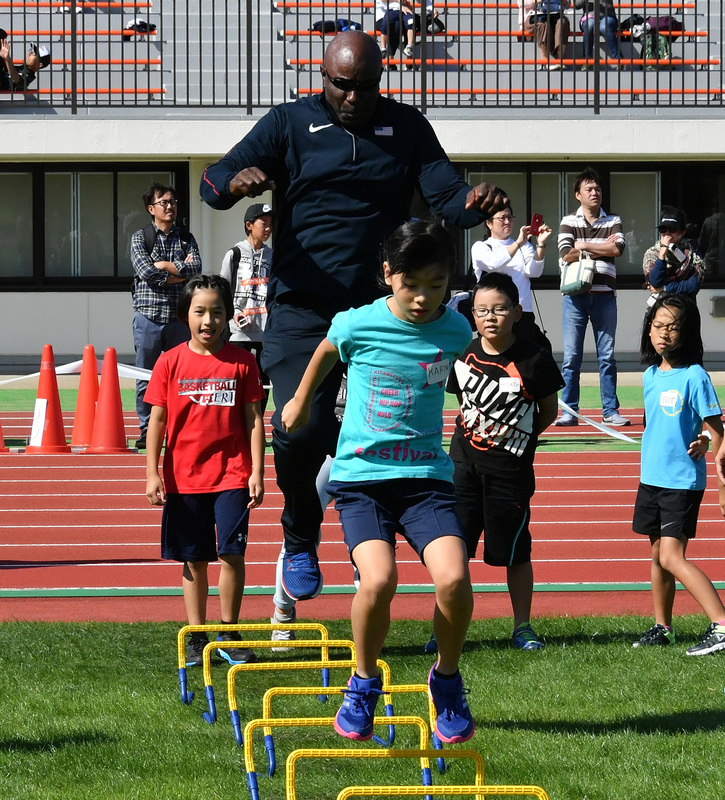 Around 270 elementary and junior high school students got to meet American sprinter and Olympian Mike Rodgers on Sunday, when he coached a training event in Narita, Chiba Prefecture. 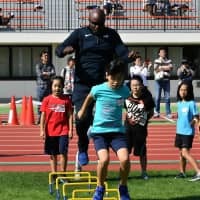 Rodgers, who participated in the 2016 Rio de Janeiro Olympics, as well as hurdler Sharika Nelvis and track coach Darryl Woodson, coached the students at Nakadai Sports Park in the city, which is set to host the United States national track and field team’s pre-Olympic training camp for the 2020 Tokyo Olympics. 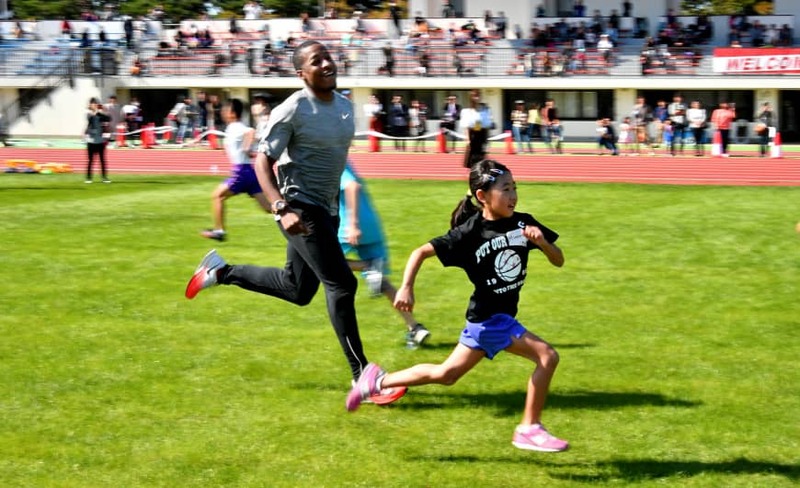 “Though (we were) having language barriers, it was exciting to see kids enjoying themselves,” said Rodgers. 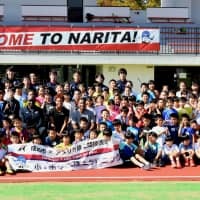 The lesson was also attended by four students from Ofunato, Iwate Prefecture, an “Arigato” (“Thanks”) host town for American athletes under a government initiative designating municipalities in disaster-stricken Tohoku prefectures to host athletes participating in the 2020 Games, as a gesture of gratitude for supporting their recovery efforts. 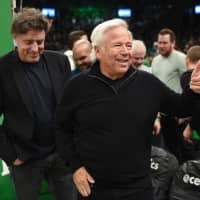 Woodson said he hopes to also visit Ofunato in the future. 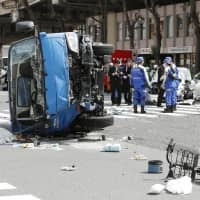 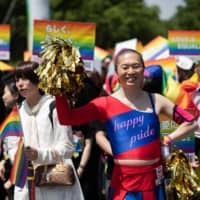 A similar event is scheduled to be held in Shizukuishi, Iwate Prefecture, on Wednesday, with Heinrich Popow, a German sprinter who won gold at the 2016 Rio de Janeiro Paralympics. 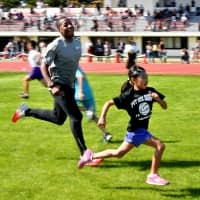 The main purpose of the host town program is to promote educational and sports exchanges between local residents and visiting athletes and coaches, who will conduct workshops, give lectures and demonstrate their sports through friendly games.